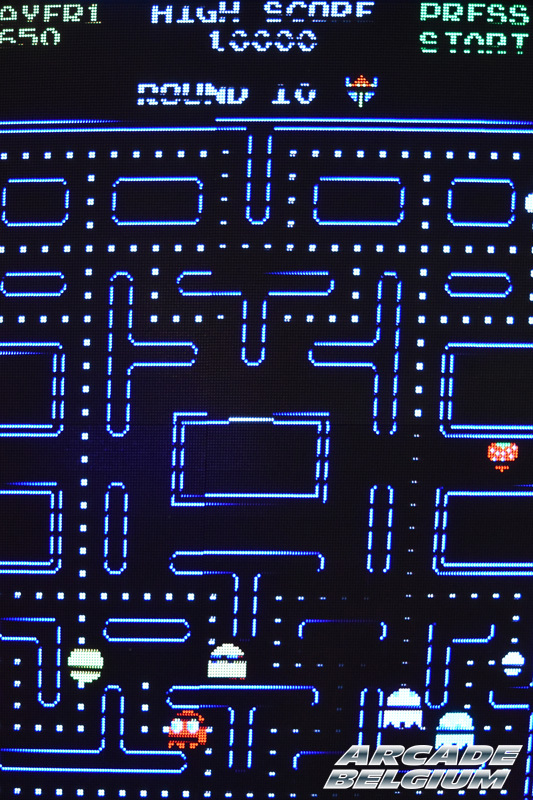 World's largest Pac-Man comes from a collaboration between Bandai Namco and Raw Thrills. 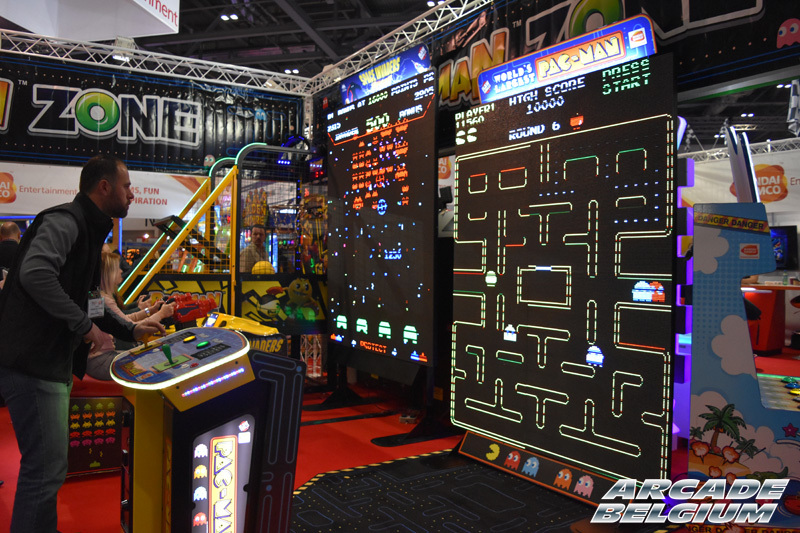 A prototype presented at the EAG International 2016. 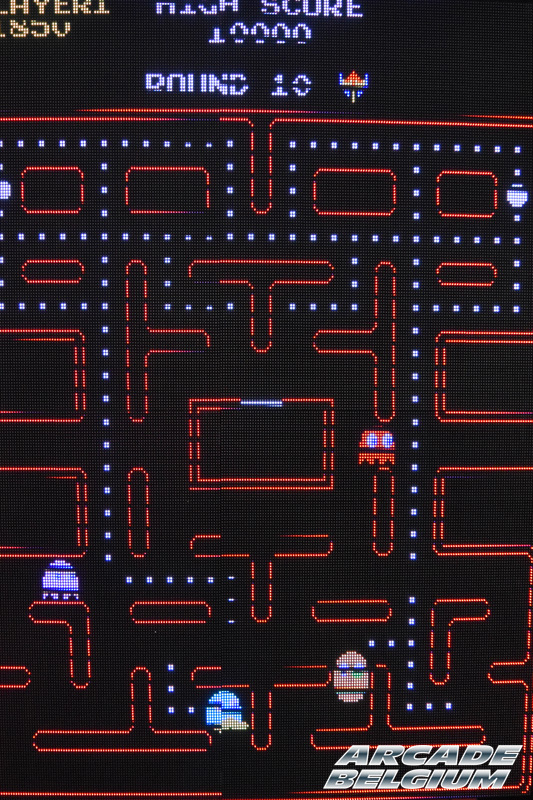 World's largest Pac-Man features two games: Pac-Man and Galaga displayed on a giant LED screen. For now, it's only 2P alt but the final game will be 2P sim. 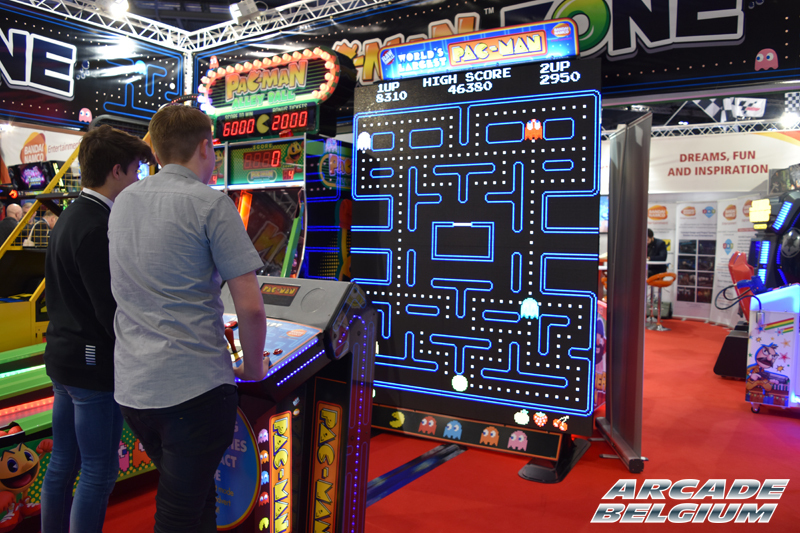 World's largest Pac-Man est issus d'une collaboration entre Bandai Namco et Raw Thrills. Un prototype a été présenté à l' EAG International 2016. 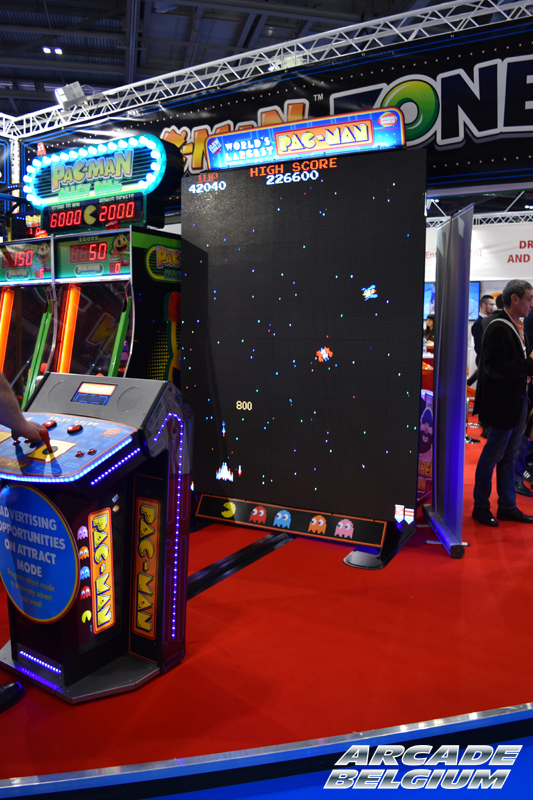 World's largest Pac-Man propose deux jeux: Pac-Man et Galaga. Pour le moment, c'est seulement en 2P alt mais la version finale sera 2P sim. 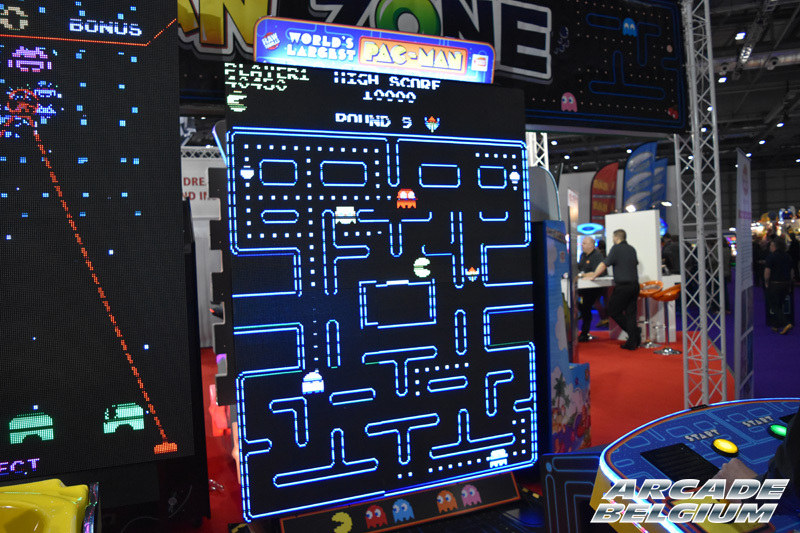 World's largest Pac-Man @ EAG International 2016. 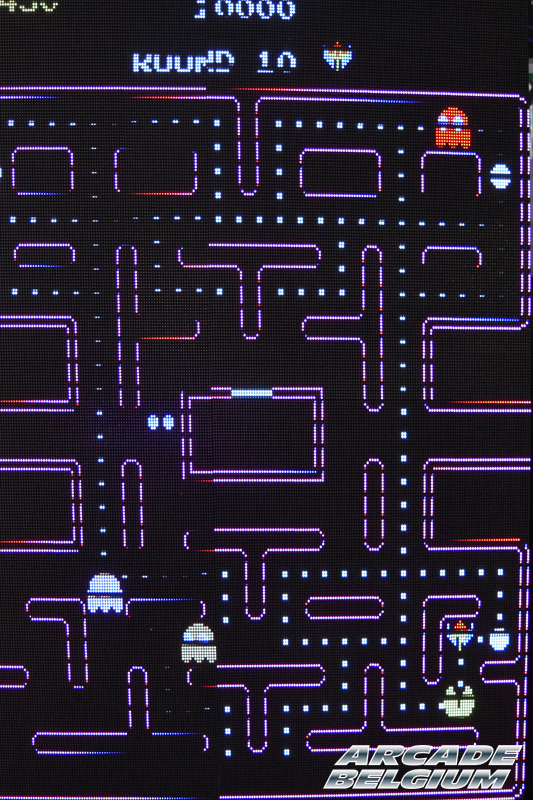 Software update v1.33 has been released for World's Largest Pac-Man. 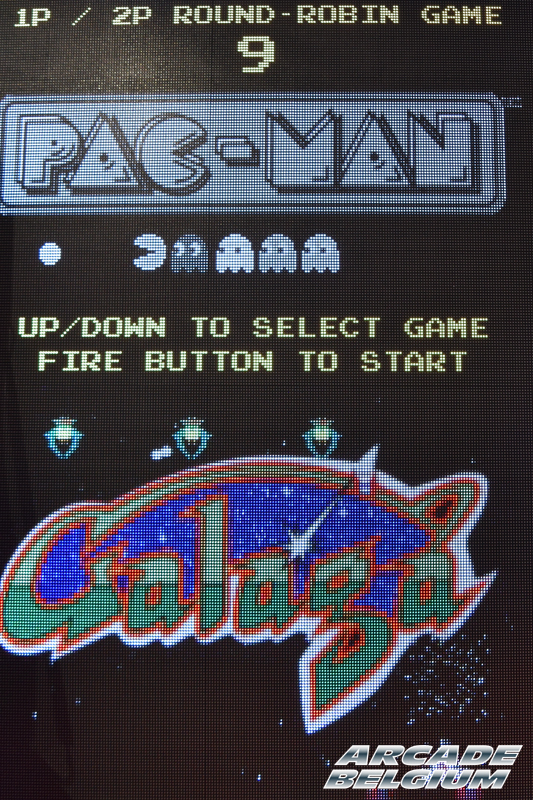 This update fixes bugs and adds Galaga as a playable selection in your World's Largest Pac-Man machine. 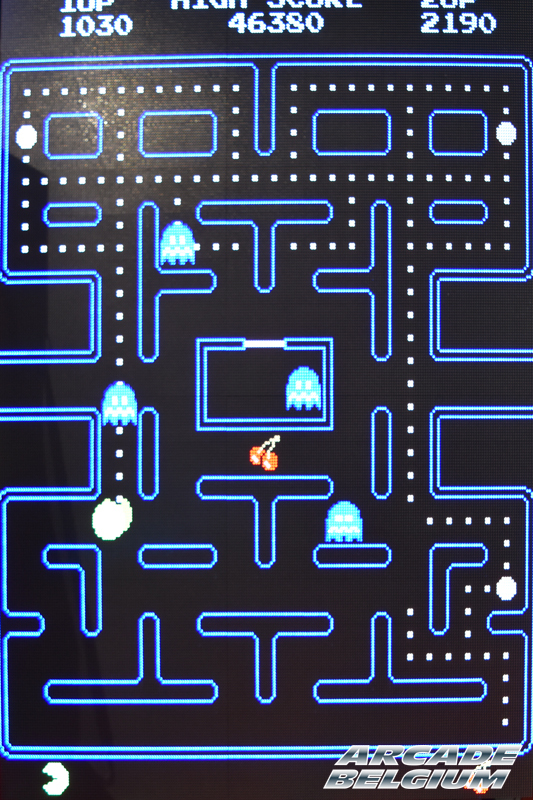 This update is completely free and now available for all World's Largest Pac-Man owners, for the full release notes see below. 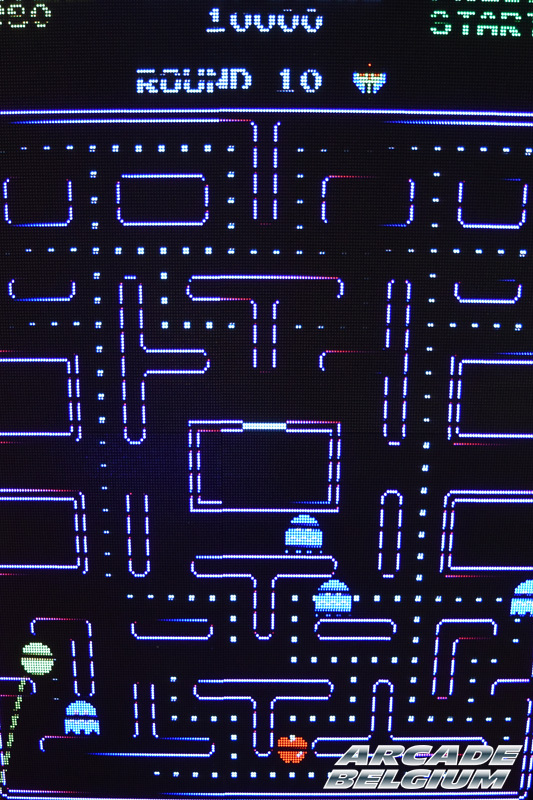 Test Menu feature to run game as Galaga Only, Pac-Man Only, or BOTH. 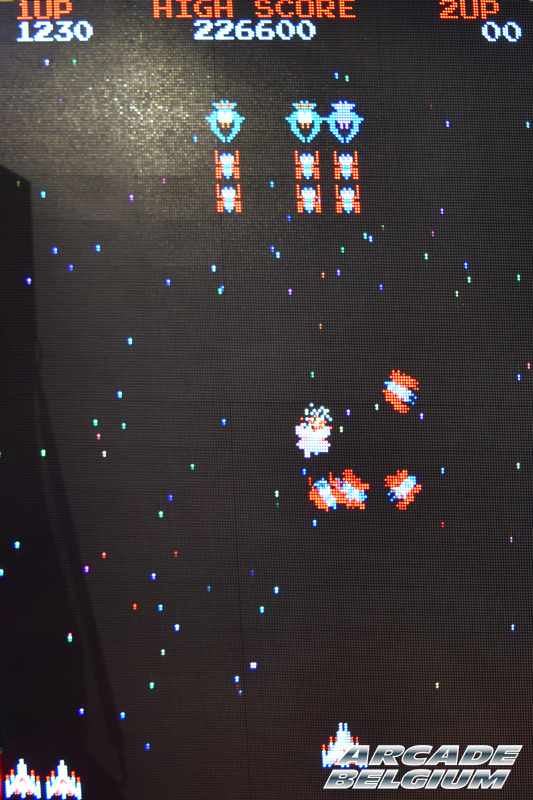 Galaga logo added to attract UI elements if game is running as "Galaga Only"